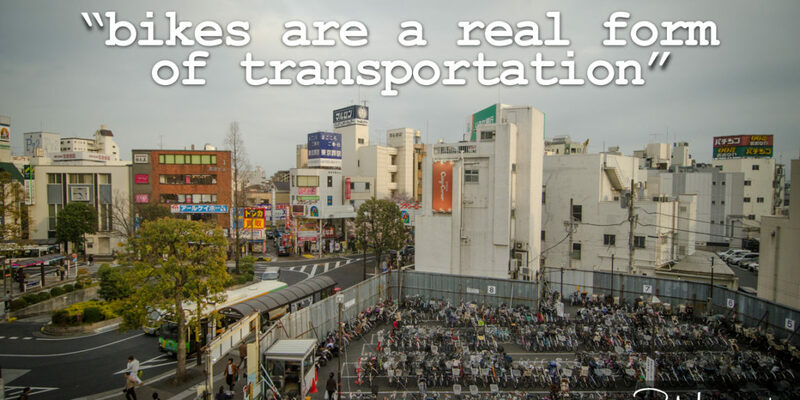 Most major cities in Japan, with the exception of the very most central and dense areas of Tokyo, rely heavily on the bicycle for basic transportation needs. Train stations often have huge parking lots, not for cars, but for bicycles. Not only this, but everything from postal mail, to groceries, to food are often delivered on bicycles, not through eco-courier services, but by most mainstream delivery service companies. Ever had a FedEx package delivered on bike? 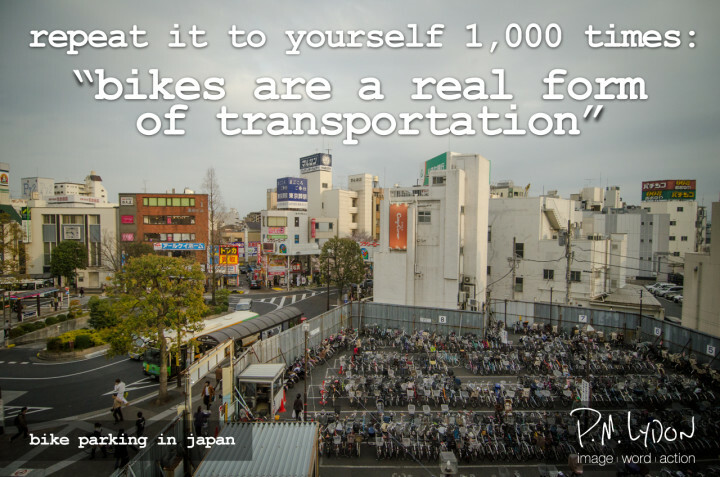 Friendly for the environment and a major contributor to human physical and psychological well being, for Japan as for many modern countries building cities with the bicycle in mind as a major form of transportation just makes a whole lot of sense.